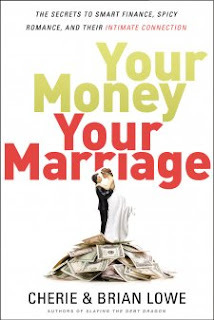 I never thought money would be one of the woes in my marriage.... It turned out to be the biggest. Sometimes it can feel like I'm the only one having this issue, but this book Your Money, Your marriage made me realize i'm not! I love the realistic down to earth way the book is presented ( I don't feel like I'm being put down) I love that this couple is related able and have gone through the issues so they can give a first hand experience on how to get out. And the book is funny, I never thought I could giggle when reading about something so serious But I did!! A must read for all couples!